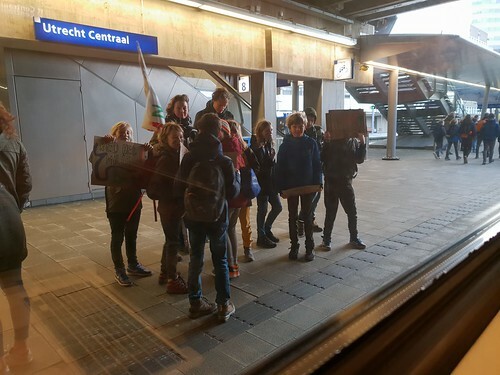 School children are traveling to The Hague in droves today, to demand climate action. The train is overly full, with youth and with energy. Not all fitted on to the train, so some were left on the platform to take the next one. Good to see the spirit of activism.